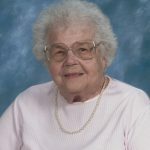 FRAMINGHAM – Helen M. (Misalsky) Levay passed away in her home, surrounded by family, on September 12, 2018, after a short period of declining health. She was born in Framingham on September 22, 1921, the daughter of Clement and Mary (Slatkavitz) Misalsky. She graduated from Framingham High School in 1939. Helen married Edward T. Levay on December 5, 1943, and raised their six children. She was a lifelong resident of Framingham, and longtime communicant at St. George Parish in Saxonville. 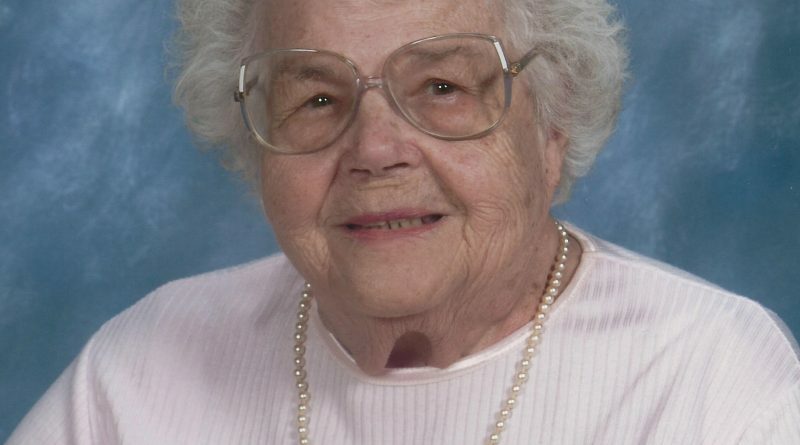 She enjoyed baking, sewing, gardening, reading, and spending time with her family. Helen is survived by her children: Edward T., Jr., of Framingham; Michael and his wife, Darcy Fowkes, of Los Altos, California; Stephen and his wife, Nancy, of Wallingford, Connecticut; Lawrence and his wife, Diane, of Marlborough; Adele Smith of Framingham; and Nancy Sinacola and her husband, Christopher, of Millbury; 13 grandchildren; six great-grandchildren; her sister, Adele DeCollibus of Hopkinton; and many nieces and nephews. She was predeceased by her sister, Anita Johnson, in 2015. Family and friends will honor and remember Helen’s life by gathering for a time of visitation in the McCarthy, McKinney & Lawler Funeral Home, 11 Lincoln Street in Framingham on Monday September 17from 9 to 10:45 a.m. Her funeral services will follow in the funeral home at 11 a.m.
Interment in St. Stephen’s Cemetery. In lieu of flowers, Helen requested that memorial donations be sent to St. George Church, 74 School St., Framingham, MA 01701, or St. Jude Children’s Research Hospital (https://www.stjude.org/).